No matter how much credit we give teachers, we're probably falling short. These folks put up with a lot while turning our kids into adults, and the right teacher can make all the difference in a kid's life. 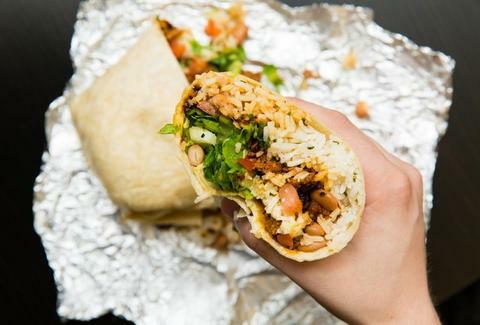 But if there's one surefire way to let people know you recognize their hard work, it's giving them a burrito. And that's exactly what Chipotle's about to do on Teacher Appreciation Day. On May 8, educators will get BOGO (buy one/get one) Chipotle. If you're a teacher, faculty member, or are on staff and have the school ID to prove it, you'll be treated to a free burrito, burrito bowl, salad, or order of tacos with the purchase of a regular order. According to the official page for the promotion, the deal will last from 3pm to close on Tuesday, May 8. This doesn't apply to online or mobile orders though, so you'll have to get yourself to an actual Chipotle location for dinner or a late lunch. Also note that there's a limit of one free item per educator. If you're feeling left out because of this deal, don't. You may not get a free burrito, but you also don't have to teach anyone math.